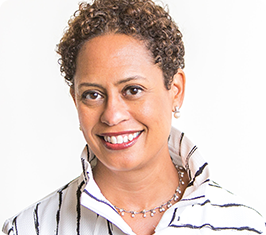 Marguerite Fletcher is a lawyer, diversity consultant and executive coach. She has practiced corporate law for over twenty-five years and has been active on diversity issues throughout her career. She conducts cultural assessments, advises on diversity issues, aids with strategic planning and facilitates programs on unconscious bias and other diversity topics. As a coach, Ms. Fletcher provides executive, management and career coaching advice to managers and individual contributors. Ms. Fletcher was a member of the Boston Bar Association’s Diversity & Inclusion Section Steering Committee for many years and was the Co-Chair of its Retention and Promotion Committee for two years. She is qualified to administer the Myers- Briggs Type Indicator instrument. Ms. Fletcher is a graduate of the Harvard Law School and the Georgetown University School of Foreign Service. Upon graduation from law school, Ms. Fletcher joined the firm of Hale and Dorr (now Wilmer Hale), where she worked in the Corporate and International Law Departments. She then became Corporate Counsel for Lotus Development Corporation and later Assistant General Counsel for Genuity, Inc. Ms. Fletcher subsequently started her own law practice, Fletcher Legal Consulting, through which she advises legal clients on corporate and technology matters. Ms. Fletcher was born in Kingston, Jamaica and has lived in Jamaica, the United Kingdom and the United States.